It is now time for kids to head back to school. In Cambodia the school year also kicks off soon. KIDS works with 5 rural elementary schools. In addition to installing clean drinking water systems, libraries and implementing food programs KIDS supplies children graduating from these schools with bicycles so they can continue their education and go on to high school. 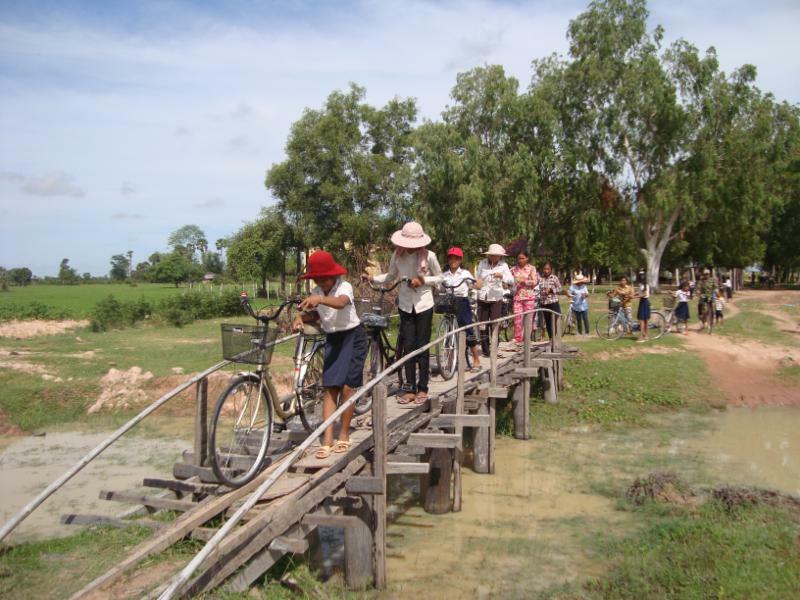 Cambodian kids have to travel long distances to go to school and for many, if they do not have a bike, it is the end of their education. Thanks to donations we have been able to provide 50 students with bicycles and they were thrilled to get the bikes and continue on to high school. 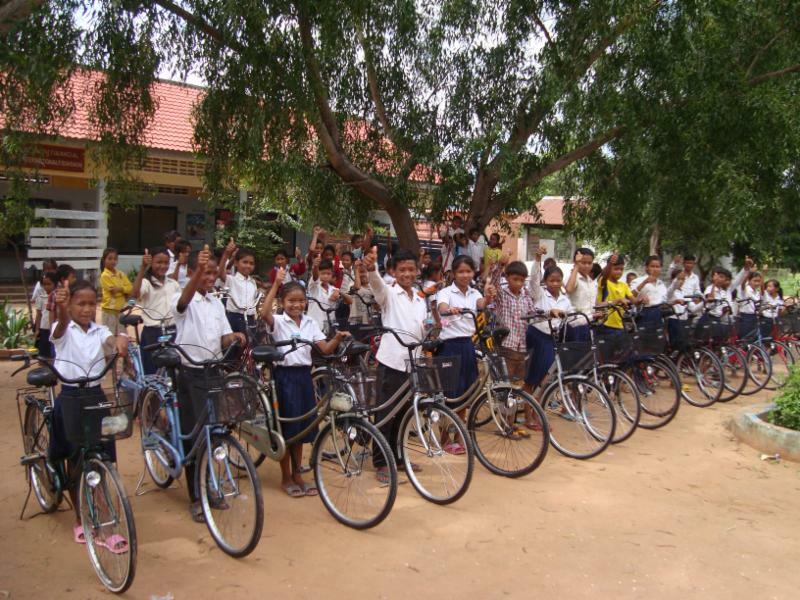 One of our dedicated Cambodian contacts, Kim Thol, purchased the bikes and recently delivered them to the kids. Here are some pictures of the children receiving their bikes. The bicycles are one speed, one size fits all work horses...but they do the trick. Throughout the year KIDS repairs and replaces many bicycles to support student's education. Thanks so much for assisting these students and for your continued support! November 6th, 2015 at the Nanaimo Convention Centre. We will be sending out a poster soon with details!